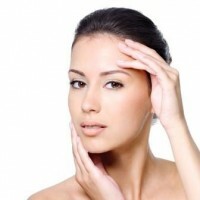 Slow Aging and Keeping Skin Younger and more Beautiful !!!! Helping you Look and Feel Younger Everyday! 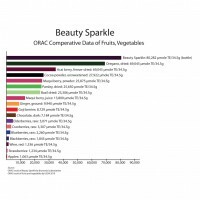 Just the Berries investigations have shown that 34 different natural antioxidant-rich ingredients of Beauty Sparkle have the powerful potential to prevent reducing sugar-mediated protein glycation. 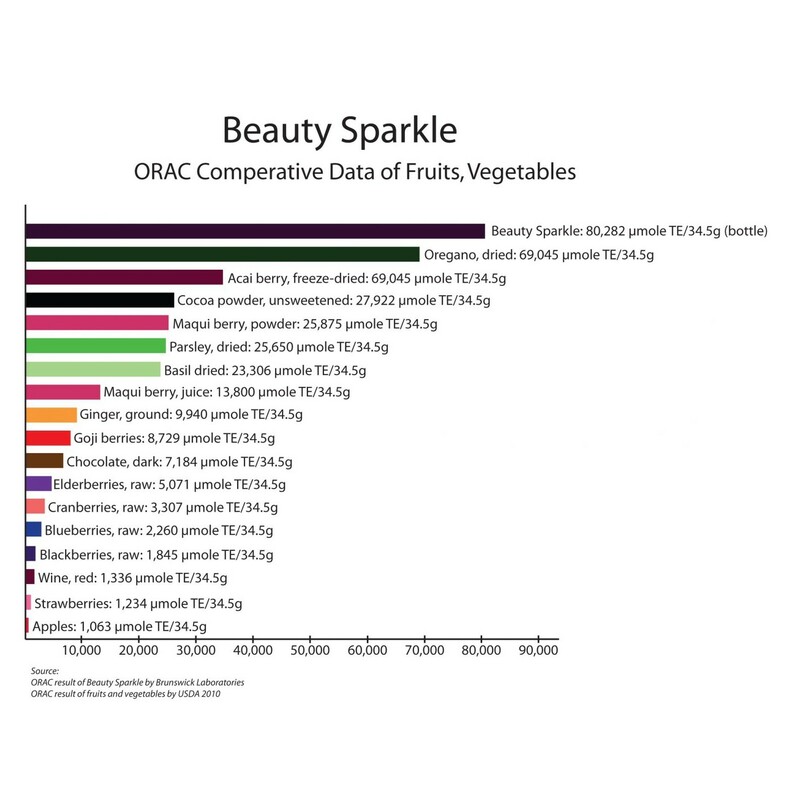 From the recent testing research, Beauty Sparkle ranks top on the activity of ORAC VALUE among all other plants, berries and existing supplements currently sold in the world. 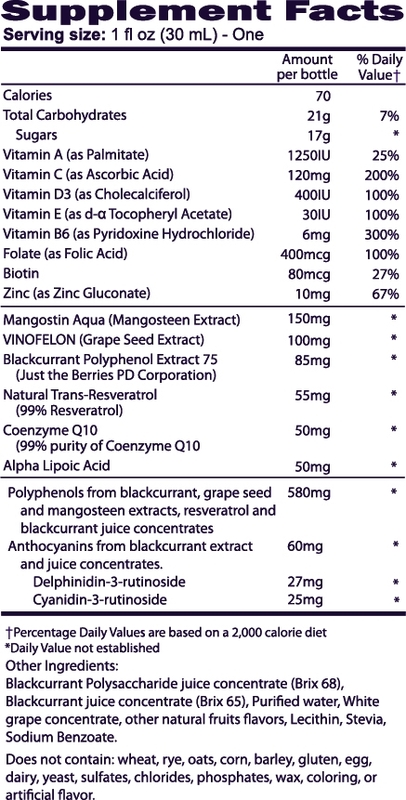 In the present study, various methods of examining antioxidant capacities of cassis anthocyanins, grapeseed extract, mangostine, CoenzymeQ10, Alpha Lipoic Acid, resveratrol and other natural materials, including DPPH radical scavenging assay, TEAC assay, FRAP assay, ORAC assay, HRSA assay, and SRSA assay, have been used. 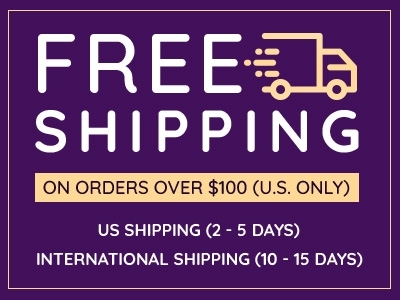 The results of this study provide supporting evidence the components/ ingredients formulated in Beauty Sparkle by Liposome technology exhibit amazingly potent antioxidant activity by scavenging all free radicals. These results are consistent with those obtained by Brunswick Laboratories, indicating that Beauty Sparkle acts mostly as hydroxyl and superoxide radical scavenger powers. Several biochemical mechanisms of antiglycation reaction that can delay or prevent the glycation process have been proposed. Especially, antiglycation strategies are involved in scavenging of free radicals at the early stages of glycation. It is well established that superoxide anions are generated from early glycation products. It is considered that those components formulated in Beauty Sparkle may inhibit AGE formation by its ROS scavenging capacity on hydroxyl and superoxide radicals. 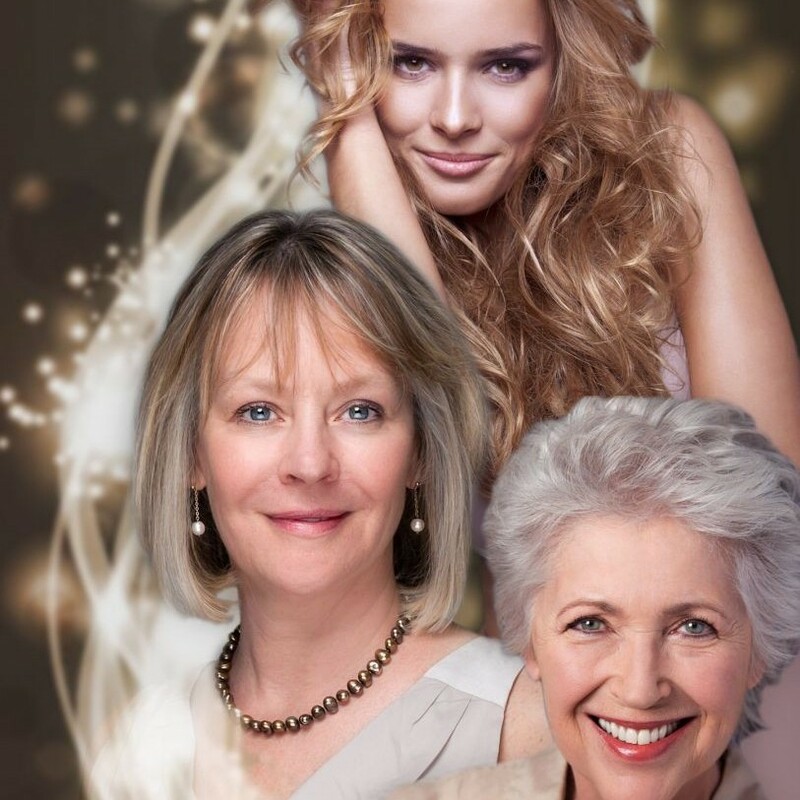 Active ingredients contained in Beauty Sparkle™ are extensively studied by in-vitro, in-vivo, clinical testing, and Beauty Sparkle™ is scientifically formulated with Liposome Delivery Technology to increase bioavailability in human body. Vision Smart Center is continually striving to provide the best quality products and health expertise in response to an ever-changing and increasingly today's anti-aging skin and longevity environment. 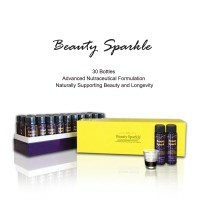 it is recommended to take the Beauty Sparkle for at least 30 to 60 days to obtain optimal benefits. 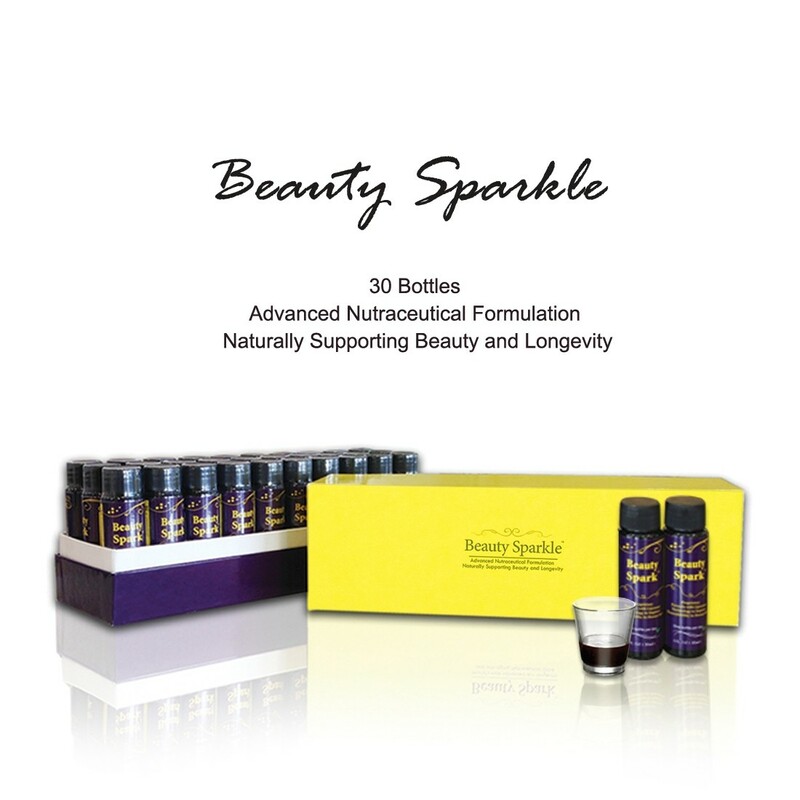 For optimal results, please take one bottle of Beauty Sparkle every day after food (to help with absorbtion). Beauty sparkle may also be mixed with water before drinking, provided the water mixture is not left for more than 30 mins(the ingredients may be damaged and become less effective if left too long). For short term benefits take everyday for 5 days. 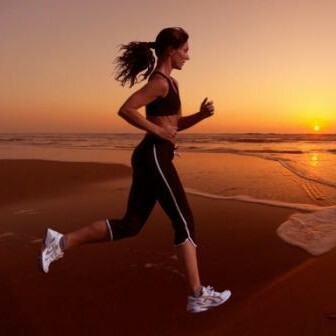 For powerful long term beneftis take every day for 30-60+ days. I don\'t usually write reviews. However, this product amazes me. I\'ve been taking it for 3 weeks now. Can\'t say that I look any younger (kinda wish I did), but my energy level is through the roof!! I feel super motivated and able to deal with all the challenges from work with ease. I came to this conclusion because I really haven\'t done anything differently except for actively taking this product. So to anyone that\'s considering trying it out. I say go for it. See for yourself. Recommended use: As a dietary supplement, take one bottle per day with food or as recommended by a physician.